Recently, Google rolled out another one of its search engine innovations: the Google Social Search. The announcement was made in conjunction with the company’s new partnership with social networking giant Twitter, which should help users find more up-to-the-minute, real-time data – including tweets – in Google search results. 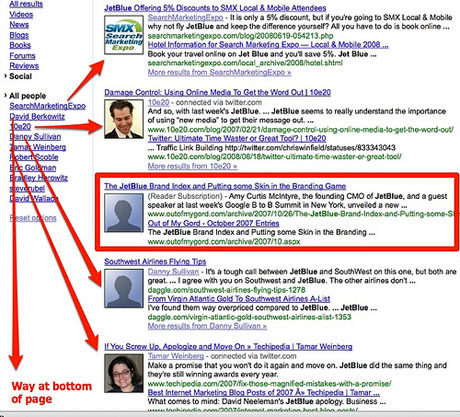 Google Social Search, however, is something independent from the Google-Twitter collaboration. Contrary to what some people might think, Social Search is not real-time search. What the new service does do is help users find content published by people in their social circle – and then see this kind of content included in search results. By social circle, Google means a user’s connections in various social networks. Google figures this out for a user by forming a combination of Gmail Chat buddies, Gmail contacts, friends, family, co-worker groups, and other people connected to the user via social media and social networking sites, like Twitter and FriendFeed. 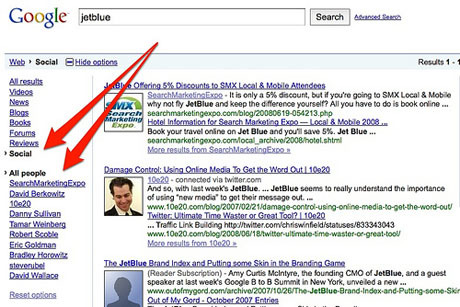 Moreover, Social Search also show social web results from sites to which a user is subscribed – i.e., via Google Reader. Search is thus refined based on content that’s most likely personally relevant to a user. To further refine search results, Social Search also filters results so that a user sees content only from his social circle. All it takes is a click on the “Show Options” on the results page, and then choosing the “Social” results filter on the left side of the page. With this new service, Google demonstrates again how our connections in social networks – or, to be more precise, our social circle – is changing the way we view and find information. Social Search ensures that the content users see is based on whom they know and trust, as well as what kind of public content they produce.